If you're a person with eyes and access to the Internet, (which I'll assume you are because... hello?) 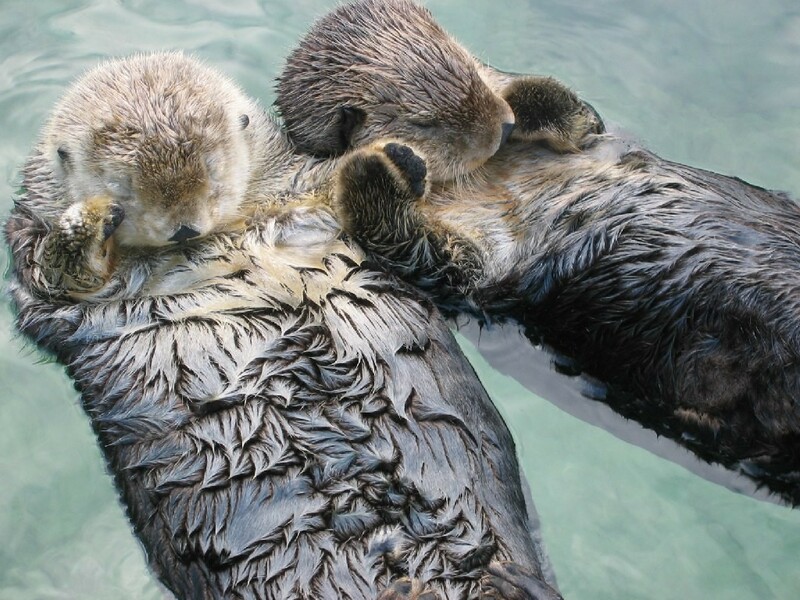 you're probably aware that sea otters sleep holding hands to not drift away from each other while snoozing. If you didn't know, you're welcome. But did you also know that at some point in the past century they were hunted to near extinction for their thick fur? 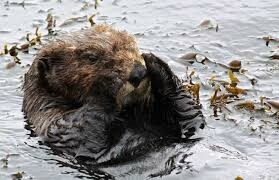 By 1911, there were less than 2000 sea otters left. Luckily conservation efforts managed to reverse the decline in population and today, there are approximately 106.000 sea otters around the world. However, sea otters are still listed as an endangered species on International Union for Conservation of Nature's (IUCN) Red List of Threatened Species and their population seems to be declining. While the greatest anthropomorphic threat to sea otters is oil spills, entrapments in fishing traps and nets also gravely endanger them. In the US, they are protected by the Endangered Species Act and the Marine Mammal Protection Act and as part of the conservation efforts fishing is heavily restricted in areas near sea otter habitats and killing otters, accidentally or not, has serious consequences. Fishermen, unsurprisingly, aren't so happy about the restrictions and this 'beef' is how sea otters became central to a discussion about the separation of powers in the US court system. On October 29th 2018, the US Supreme Court declined a petition submitted by California fishermen to reconsider an appeal decision and reinstate a No Otter Zone in their fishing waters. The No Otter Zone was created as part of a conservation programme devised by the US Fish and Wildlife Service in the 1980's. The aim of the programme was to take some of the otters that lived in Central Coast and relocate them on the Channel Islands, creating a secondary otter population. However, local fishermen supported by the oil industry and the US Navy objected to this plan, so middle ground had to be found. The No Otter Zone was this middle ground, Fish and Wildlife services were to find and remove the otters found in the zone and protection was granted for all 'otters'. Although the programme was abandoned in 1993 as most of the otters swam back home, the No Otter Zone remained. Until 2013, when the US Fish and Wildlife Service put an end to it after the NGOs the Otter Project and Environmental Defence Center sued the agency. The Fish and Wildlife Services, however, was out of luck. They were getting sued left... and right. This time a group of fishermen's associations sued the agency for ending the No Otter Zone and failing to protect fishermen's rights. After losing several times, the group finally brought the appeal to the US Supreme Court, claiming that the Fish and Wildlife Services didn't legally have the right to end the No Otter Zone. So the debate on whether otters posed a threat to fishermen or vice versa turned into one about the US legal system and separation of powers. In the US judicial system, federal agencies like Fish and Wildlife Services are granted legislative authority on certain subjects in their area of operation. This means they can command or prohibit something or declare policy and the US Congress defers to the agencies decision unless it's evidently unreasonable. This doctrine is referred to as the "Chevron Defence" and conservative organisations are not fans. The Pacific Legal Foundation calls it "the chief culprit undermining the constitution’s separation of powers." Fish and Wildlife Service's decision to end the No Otter Zone is an example of the Chevron Defence and thus the case drew conservative attention. Conservative groups claimed the case to be the first action for newly appointed Supreme Court Justice, and self-proclaimed beer lover, Brett Kavanaugh to prove his 'devotion to the US constitution'. Fortunately, for otters, The US Supreme Court denied the appeal and put an end to the No Otter Zone for good, leaving conservative groups and California fishermen otterly devastated.